Reliance Chairman Mukesh Ambani had announced the Jio feature phone at the 40th Reliance Annual General Meeting, at an effective price of rupees zero. But the Company had announced to user will pay security deposit of rupees 1,500 for the device and the deposit will be refunded after three years. The company also said the phone will be available for beta testing from August 15th and for booking from August 24th 5:30 PM. User can book Jiophone either online to go on jio.com and MyJio mobile application or offline user can visit Jio retailers, and Reliance Digital stores. 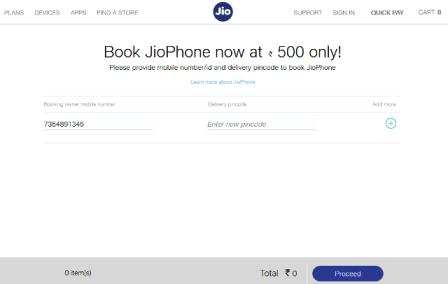 At first visit jio official website jio.com or MyJio mobile application then you sees a “Book Now” button for JioPhone just select then open a new window. Then submit the user ten digit Mobile numbers. Next user can submit Area Pincode (from where you would like to collect JioPhone) and pay rupees 500 and process. Then payment for JioPhone booking can be made through UPI, credit card, debit card and net banking. 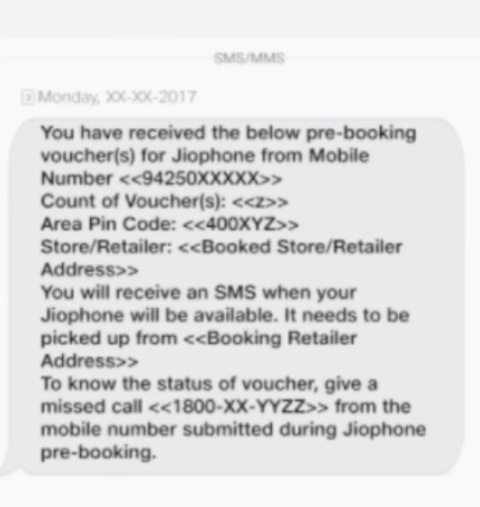 Then Jio will be sent a feedback SMS to user as well as friend’s mobile number, with the address of the retailer and booking ID. User will have to pay rupees 500 in order to booking the JioPhone. The Jio Company says the amount will be adjusted against total security deposit of rupees 1500 at the time of delivery. So Jio will charge the remaining rupees 1000 at the time of delivery of the JioPhone. 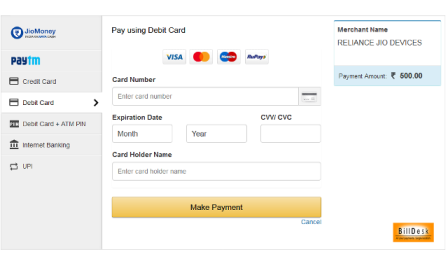 User can make the payment by their JioMoney and Paytm are the default mobile wallets supported.